A Federal Appeal Court ruling that halts construction of the Trans Mountain pipeline expansion is a serious blow to the energy industry that will further deter international investment in Canada, business leaders warn. On Thursday, the Federal Court of Appeal quashed the approval of the contentious, $7.4-billion project that would nearly triple the flow of oil from Alberta's oilsands to the West Coast. The court ruled that Canada's efforts to meaningfully consult with Indigenous people, as required by law, fell short. It also ruled that the National Energy Board regulator wrongly narrowed its review of the project not to include tanker traffic related to the project. The decision means the NEB will now have to redo its review of the pipeline. The federal government could appeal the decision to the Supreme Court of Canada. "The Explorers and Producers Association of Canada (EPAC) expresses its deep dismay at this devastating decision that further damages what's left of Canada's reputation as a country that can actually develop major projects in the resource sector," the association said in a statement. The association said Canada's approval process for major resource projects is "close to collapse under the weight of too many conflicting interests." "It's hard to conceive of a project that could have had more layers of review, consultation and approvals at the NEB and the federal cabinet," EPAC said. "To have a court panel review all that work and conclude years later that it wasn't enough will give any project proponent a reason to doubt the wisdom of investing in Canada." The president of the Canadian Association of Petroleum Producers (CAPP) agreed that the court ruling would add to Canada's growing reputation as a country where it's hard to do business. "I think the global view of Canada today is very negative," said Tim McMillan. "An outcome of this court case like this makes world investors continue to look at Canada as a place that can't get its act together." 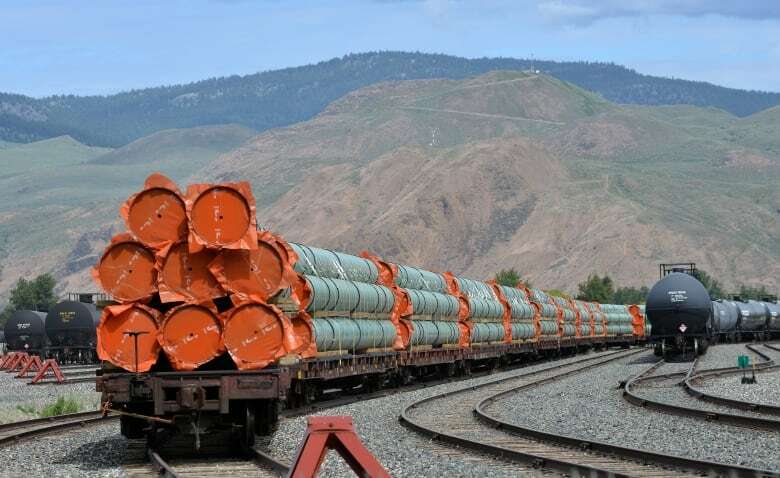 McMillan said Canada's lack of energy exporting infrastructure already costs the national economy about $15 billion per year and that the latest hurdle for the Trans Mountain expansion will make matters worse. The Trans Mountain pipeline would allow Canada to diversify oil markets and vastly increase exports to Asia, where it could command a higher price. Canada has the world's third largest oil reserves, but 99 percent of its exports now go to refiners in the U.S., where limits on pipeline and refinery capacity mean Canadian oil sells at a discount. Analysts have said China is eager to get access to Canada's oil, but largely gave up hope that a pipeline to the Pacific Coast would be built. "It means we continue to miss out on the jobs, the opportunity to be global supplier," McMillan said. "And those global markets are China, India, places that Canada could be the supplier of choice. But we continue to not get the infrastructure in the ground that allows us to do that." Shortly after the Appeal Court's ruling came on Thursday, Kinder Morgan Canada shareholders at a special meeting in Calgary voted overwhelmingly to approve the sale of the pipeline and expansion project to the Canadian government for $4.5 billion. Kinder Morgan Canada president Ian Anderson said the company will work with Ottawa in determining what their next steps should be. "Trans Mountain is currently taking measures to suspend construction-related activities on the project in a safe and orderly manner. The court decision was not a condition of the transaction between KML and the federal government." Finance Minister Bill Morneau said the federal government is carefully reviewing the decision but is determined to proceed with the project, that he said, is in the best national interest and "critically important" for the economy. Alberta Premier Rachel Notley announced Thursday evening that the province would be pulling out of the national climate change plan in protest. "Albertans are angry, I am angry," Notley said. David Baskin, president of Baskin Wealth Management in Toronto, said he was shocked the federal government didn't make its purchase of the project conditional. "I can't possibly know what was in the mind of the federal government … maybe they could have put their purchase as being conditional on the position of the Court of Appeal, that might have been sensible," said Baskin. "The optics are horrible." Baskin said he believes the federal government could use the country's principle of parliamentary supremacy — which means legislation enacted by parliament could supercede an order of the courts — to push the pipeline through, but whether they will or not is another story. "Whether the Trudeau government would have the strength of its conviction to bring that legislation before parliament is the most interesting question," he said. Canadian stocks were dragged lower on Thursday as energy investors reacted to the ruling. 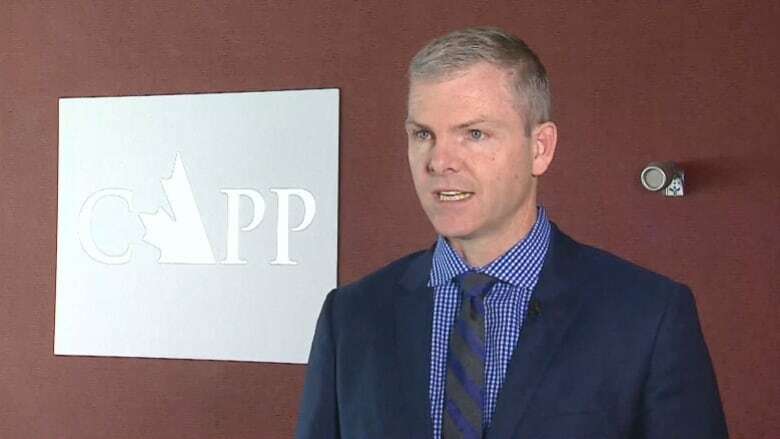 "I think there are going to be significant consequences for investors …and ultimately I think we will all suffer," said Joseph Doucet, dean of the business faculty at the University of Alberta. Doucet said he wouldn't hazard a guess at what the likelihood of the pipeline being constructed is, but said the delay will certainly be costly and create significant uncertainty. Baskin said he feels the ruling is a "bad decision" in terms of its impact to the economy as a whole, but there's one industry that's likely pleased: rail. "The only thing that this does if it's not overturned is it means a lot more oil is going to go by rail than by pipeline. It's not like they're going to shut down the oilsands because of this decision," he said. "If one were truly concerned about the long-term possible threats to the environment, shipping a lot more oil by rail doesn't really help." The ruling highlights that the notion of what constitutes adequate consultation of Indigenous communities has been evolving in the courts, said Richard Masson, an executive fellow of the University of Calgary's School of Public Policy and former CEO of the Alberta Petroleum Marketing Commission. "So it's not a big surprise, because that has been one of the issues that's tripped up projects along the way over the past number of years," he said. He, too, said the ruling will contribute to a growing sense among world investors that Canada's rules are too inconsistent and unclear to be navigated. "And so that's going to be very negative for investment for our country, which means fewer jobs and less economic development," he said. Masson said Canada has a long way to go to resolve outstanding legal issues around Indigenous land rights. "That sets up a confrontational environment that these companies have to try to navigate as they work to develop these projects," he said. "So, fundamentally as a country, we need to do a much better job about resolving these issues so everybody is pulling in the same direction as we develop our resources."